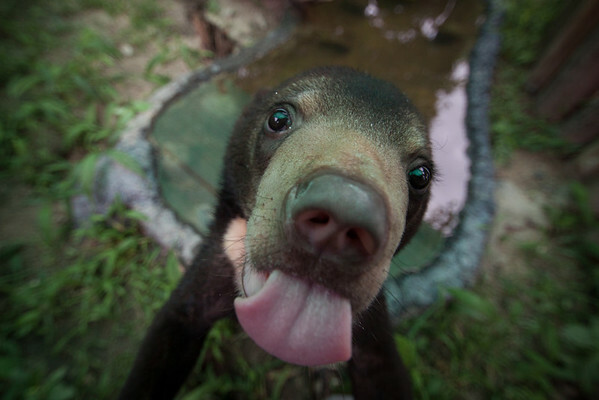 Sun and moon bears rescued by Free the Bears, at their rescue centre at Phnom Tamao, Cambodia. Sybil Sunbeam wants a kiss. Phnom Tamao Wildlife Rescue Centre, Cambodia - July 2012. All proceeds from prints go to Free the Bears Fund, who rescued all of these sun and moon bears.